The discovery of the Th17 lineage in 2005 triggered a major change in how immunity to infectious diseases is viewed. Fungal infections, in particular, have long been a relatively understudied area of investigation in terms of the host immune response. Candida albicans is a commensal yeast that colonizes mucosal sites and skin. In healthy individuals, it is non-pathogenic, but in conditions of immune deficiency, this organism can cause a variety of infections associated with considerable morbidity. Candida can also cause disseminated infections that have a high mortality rate and are a major clinical problem in hospital settings. 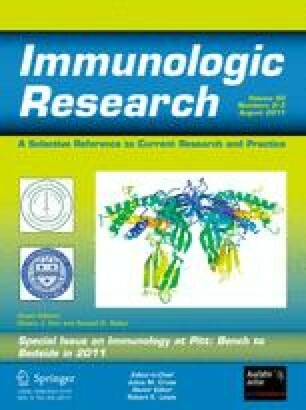 Although immunity to Candida albicans was long considered to be mediated by Th1 cells, new data in both rodent models and in humans have revealed an essential role for the Th17 lineage, and in particular its signature cytokine IL-17. Nydiaris Hernández-Santos and Alanna C. Peterson contributed equally to this article. SLG was supported by the National Institutes of Health grants AI89768 and AR054389. NHS is supported by AR054389.